Kansas City Chiefs players are going for entertainment value as they arrive to training camp this season, and running back Charcandrick West is not to be outdone with his new gear that gives him his favorite candy on demand. Anthony Sherman isn’t the only Kansas City Chiefs running back drawing attention to his arrival at training camp. Sherman’s offensive backfield mate Charcandrick West has also demonstrated some flair with his arrival. West has been carrying a duffle bag gifted to him by Skittles for the past two seasons, but for the 2017 season, he wanted to up his game. West got a new bag, outfitted with a button he can press to activate a mechanism inside the bag which will dispense a pack of single serve Skittles. West intends to take the bag with him throughout the season, especially for trips to road games. If West is able to expand his role in the Chiefs’ offense this season it could mean that he could become much more of an ambassador for the Skittles brand than he already is. 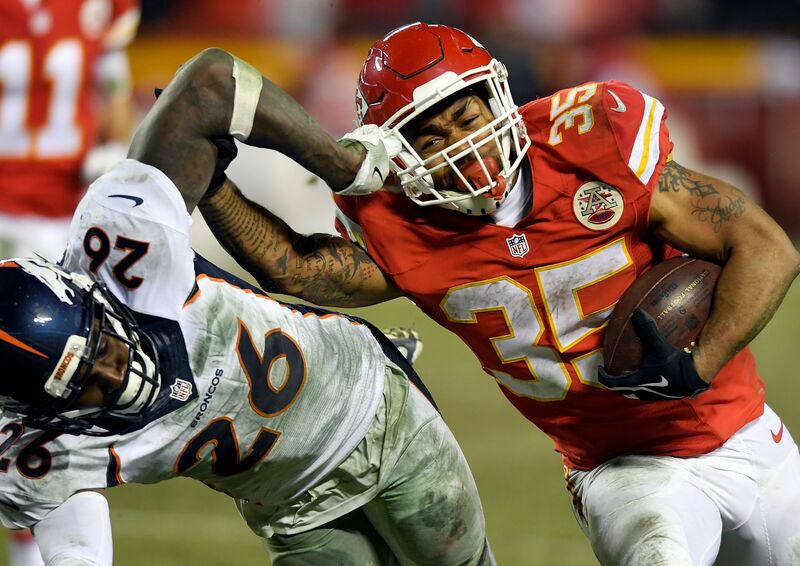 Improving upon his 327 yards from scrimmage with three touchdowns on 116 touches in the 2016 season might be a foregone conclusion with the departure of Jamaal Charles to the division rival Denver Broncos, but he will have to battle the likes of C.J. Spiller and Spencer Ware for snaps. While only West knows how often he intends to reload the bag’s container, what’s clear is that Skittles is going to keep him well-stocked with fruity candy. The big question is, how will West top his current Skittles gear when he arrives to training camp in 2018?